Have you seen the super cute pictures of the new Donut Mickey Ears from Disney World? The Donut Ears are so cute, but since everyone can’t make it out to Disney World, I decided to create my very own version of it. 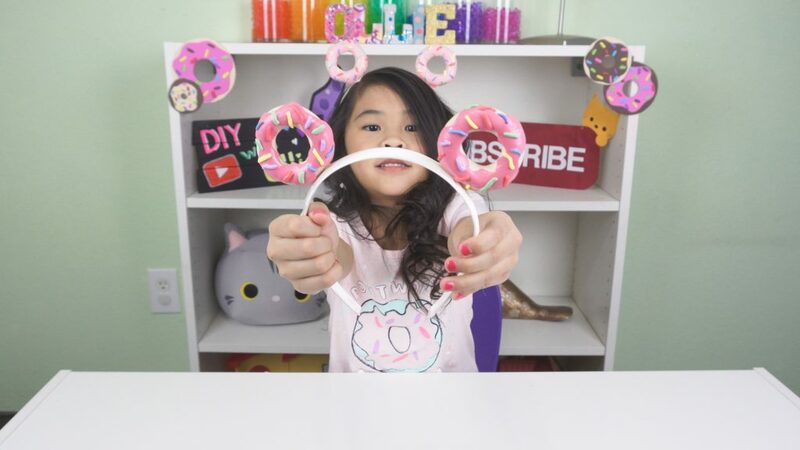 A DIY Donut Ear Headband tutorial just for y’all! It’s super simple to make, and you can customize it anyway you’d like! 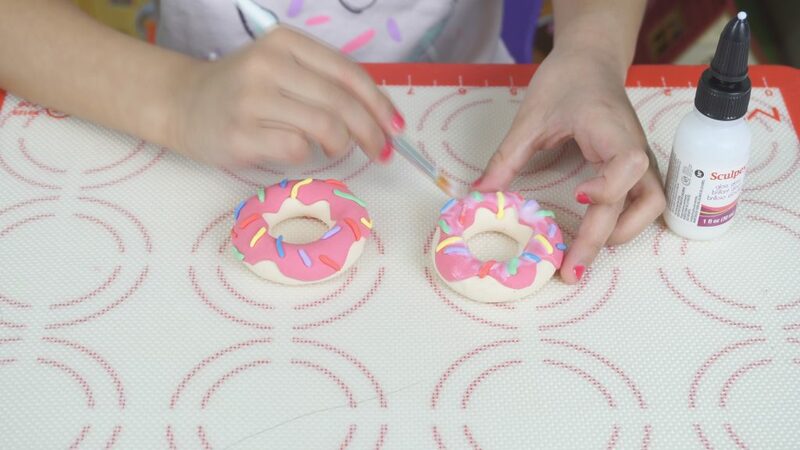 You can make the donuts vanilla with strawberry frosting and sprinkles (like I did), chocolate with vanilla frosting, or any flavor you’d like by changing up the colors! In this tutorial, I’ll be using Sculpey’s Pluffy Clay. It’s perfect for this craft because it’s super easy to use. It’s very soft, blends very well, and most importantly, it’s super duper lightweight! The weight of normal polymer clay wouldn’t be very good for a headband. You can get your own Pluffy clay by clicking here: http://bit.ly/olliexsculpey Use the code “Ollie” for 20% off your order! Don’t forget to wash your hands before you start so your clay stays nice and clean. Also wash your hands between each color so you don’t accidentally rub the last color onto you clay. I used a silicone baking sheet because it’s non-stick and super easy to clean. 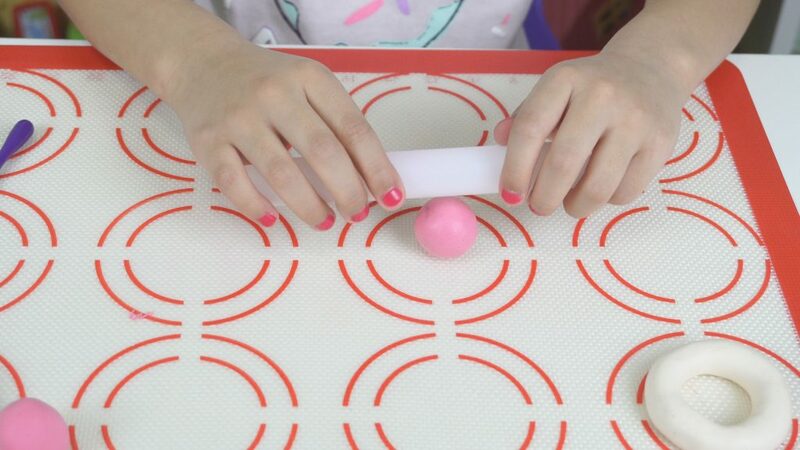 You can roll out the clay, bake the clay, and even glaze it entirely on the same mat! For the frosting, I used a pink Pluffy clay. You can use any color you’d like to make your favorite flavor of donut! I use the Cool Tool which doesn’t get hot and is safe for kids. First cut your beige Pluffy clay in half. Then knead each piece to warm it up a little bit. Next roll it out into a nice smooth and even snake. Then push the ends together and smooth it out to look like a donut. Time for frosting! Pick your favorite flavor (color) and roll out a circle that’s a tiny bit bigger than your donut. Make this layer thin so it looks like real frosting! 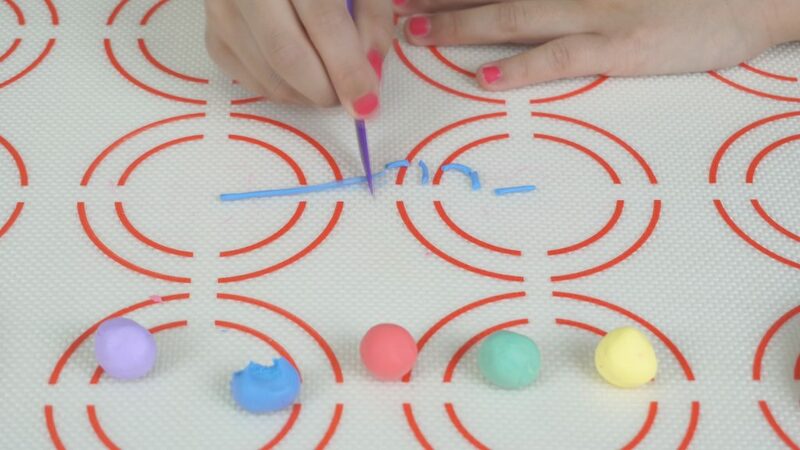 Use your Sculpey knife and cut out a swirly circle. 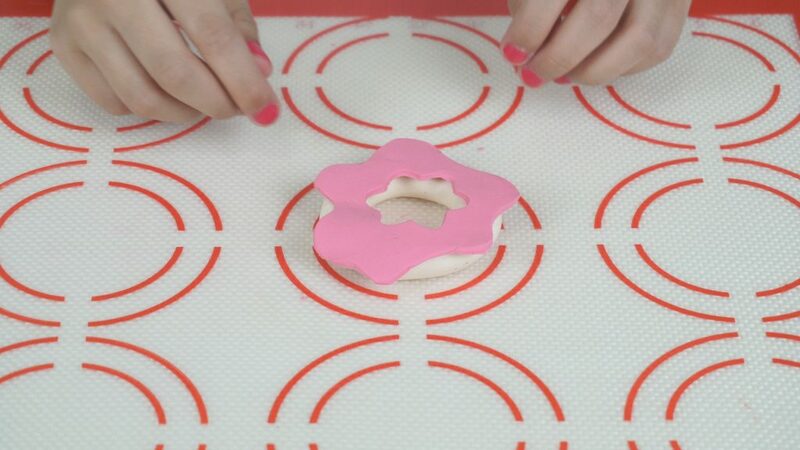 Then take your mini flower cookie cutter and cut out a hole in the middle. 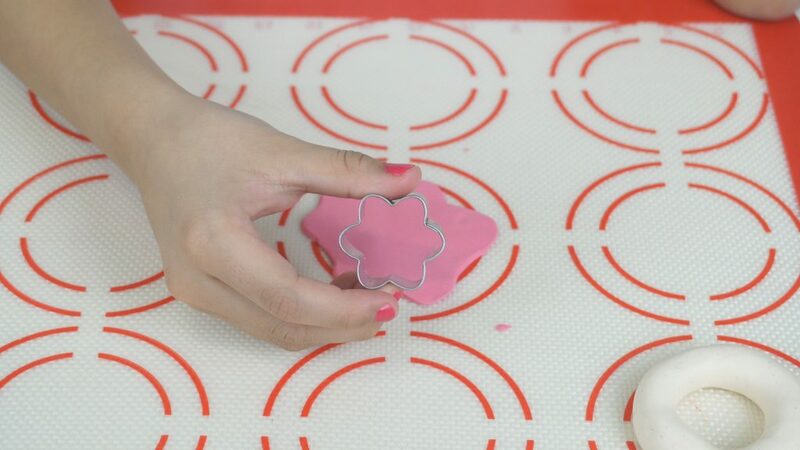 If you don’t have a tiny flower cookie cutter, you can also use your knife to make a smaller swirly circle in the middle. Take the clay frosting and lay it on top of your donut. use your fingers to smooth out the frosting so it looks like it’s been dipped in real frosting! Now pick out a few colors to make sprinkles. I chose purple, blue, red, green, and yellow, but you can choose any colors you like! 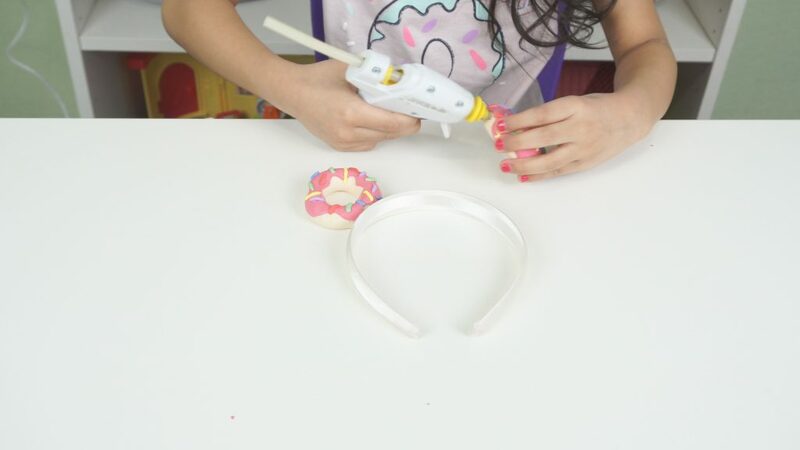 Roll out a super thin snake and use the Sculpey knife to cut out little sprinkles. Place the sprinkles all over the top of your donut and press down slightly. Then bake your donuts at 275ºF for 30 minutes. Let your donuts fully cool. 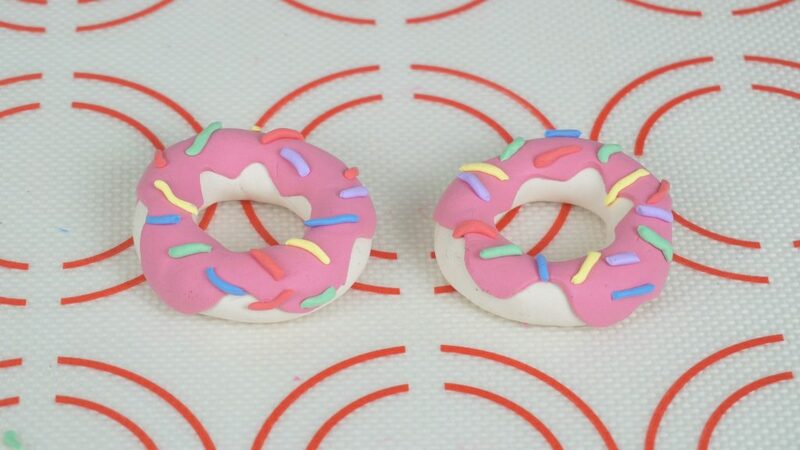 Once cool, cover your donut with the Sculpey Gloss Glaze to make it shiny and protect it. Let this dry before continuing onto the next step. 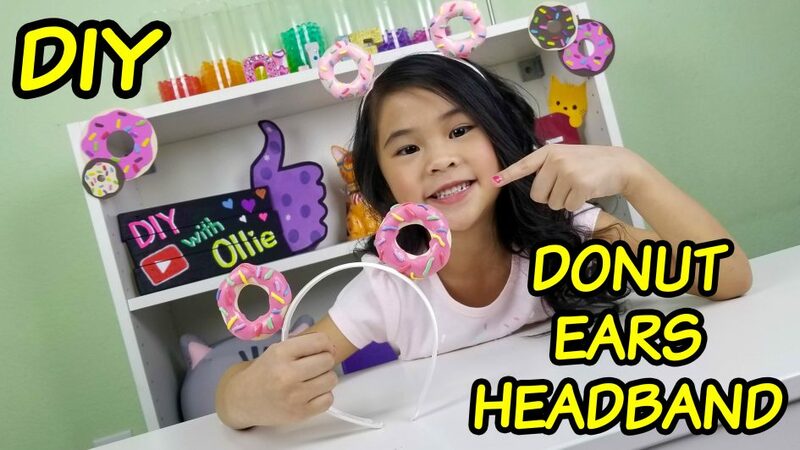 Grab your headband and glue the donuts onto the headband to make the “ears”. That’s it! You’re done! Aren’t they SOOOO CUTE?!?!? They look so delicious, too bad you can’t eat them. Haha! You can make more headbands in all different flavors. Sculpey’s Pluffy Clay was perfect for this project because it is super light and easy to work with! Use the code “Ollie” at bit.ly/olliexsculpey to save 20% off your entire purchase of Sculpey clay and their other products! Don’t forget to show me what you make! Send me pictures, post it on FB, Hashtag #WeDIYwithOllie on Instagram, or tweet me on Twitter: @DIYwithOllie!